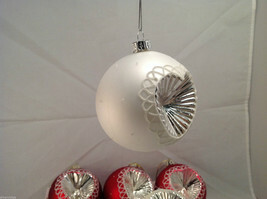 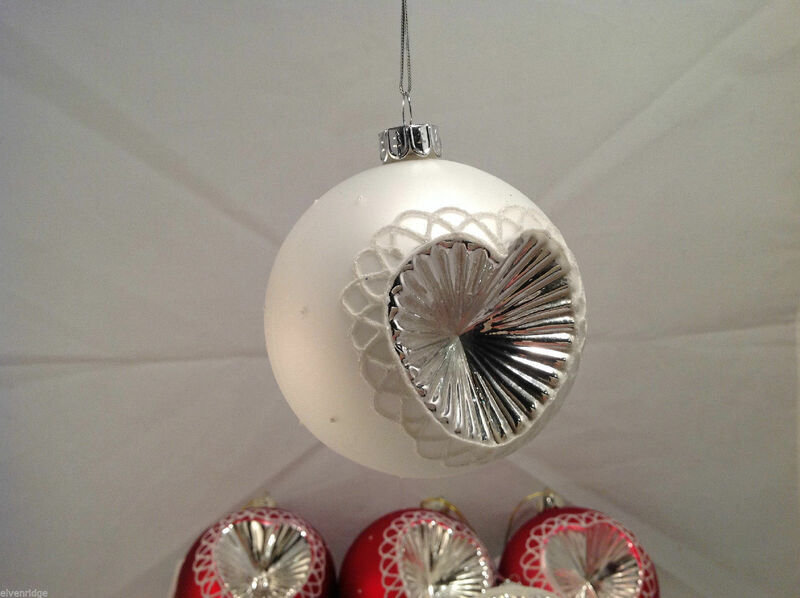 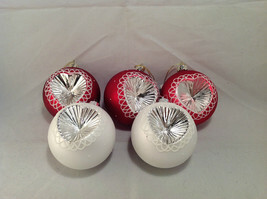 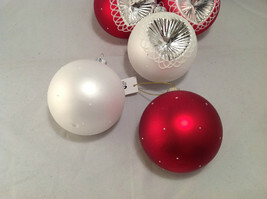 Red White Blown Glass Ball with Heart Holiday Ornament, Set of 5. 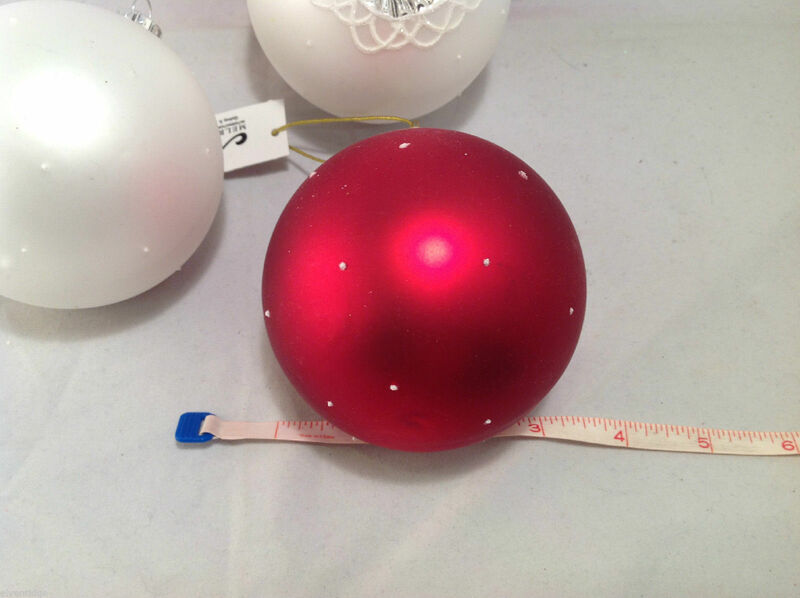 Red White Blown Glass Ball with Heart Holiday Ornament, Set of 5. 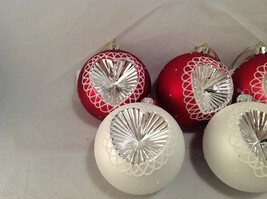 Heart is reflective, by Melrose.